Are you willing to visit New York City in Fall? Are you an Oracle expert willing to go the extra step with E-Business Suite R12? 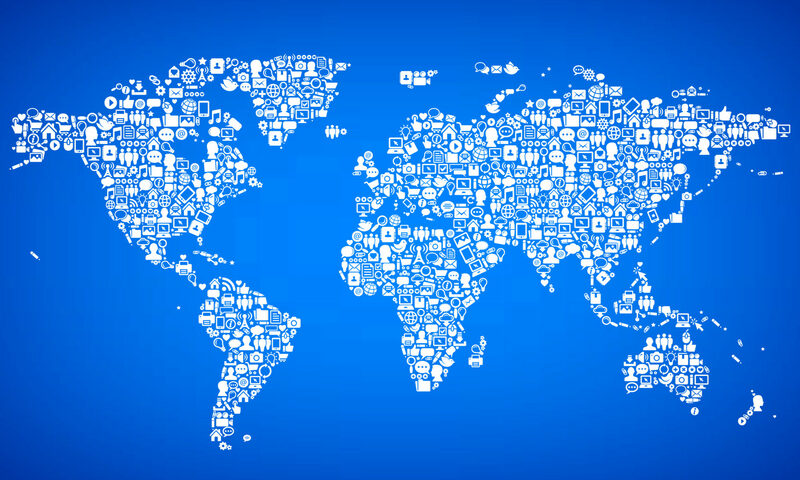 Are you planning to perform an upgrade to your Oracle ERP soon? If your answer is yes, then don’t miss this opportunity of a 3 days intensive workshop at IT Convergence’s office in New York City starting on September 28th, 2011. This workshop gives you a detailed overview of technical and functional issues of Oracle R12 Upgrade that you need to take into account when planning an upgrade or reimplementation to Oracle Applications Release 12. This workshop discusses absolutely everything you need to consider in planning your migration to Oracle R12, from hardware requirements, planning, and conversion strategies to configuration, user adoption and documentation to support the upgrade. You will create a plan for your upgrade to take back to your organization and jump start your project. Oracle ACE ♠, Gustavo Gonzalez will be delivering this workshop prior to his visit to Oracle Open World 2011. Don’t miss the opportunity, register now here. Remember that it was recorded on Webex format so you have to download the Webex Network Recording Player here. Take advantage of this Q&A to get the answers to your questions from last week’s webcast! 1. 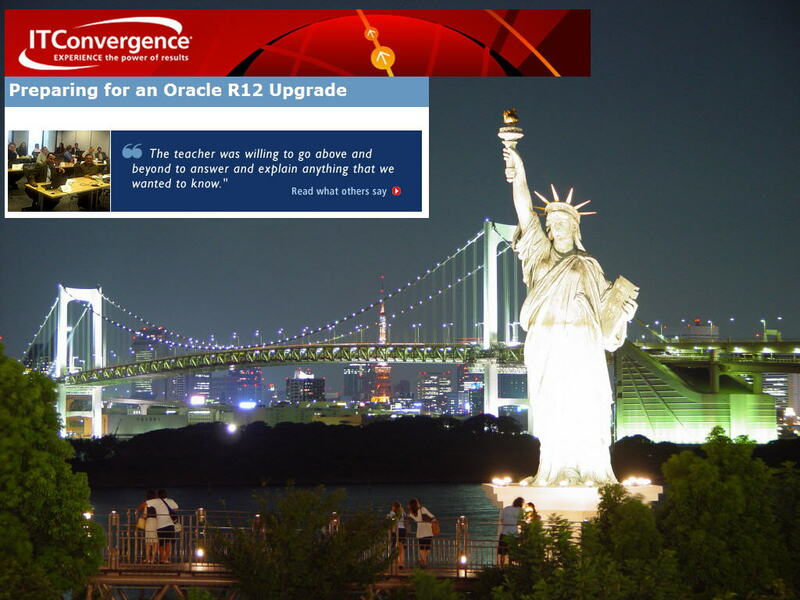 We are doing an Oracle R12 upgrade now. the current system has huge customization database tables, views, etc, which connect and integrate with ESB black database box. what are your recommedations for us to assure database migration from as-is to to be? This needs further evaluation. In terms of the database and version. For Oracle Applications R12 a minimum requirement is Oracle 10g and because of the upgrade customizations and extensions might be impacted because of the changes on the data model. 2. Is there any charge for an Oracle R12 assessment? Yes, there is charge for that type of assessment because it requires a lot of resources and work that is part of this very important phase of the project. As you can saw on the webcast there are lots of deliverables and the amount of work based on the footprint of your Oracle E-Business Suite environment. We recommend doing pre-close and cleaning all the interfaces. Since all the data model on General Ledger it is extremely important this for the success of the upgrade. 4. I would like a more detailed explanation of the blended approach to that you discussed as being sort of a middle point between a vanilla Oracle R12 upgrade and a full Oracle R12 reimplementation. The blended approach is something very commonly used in many Oracle R12 migrations. Since Oracle has provided many tools to perform the R12 upgrade, our experience has given us the chance to work on upgrades whose scope has included the implementation of new modules and/or some process re-engineering with existing accounts. We’ve even changed the Chart of Accounts. All of this is perfectly doable with a proper planning and execution. 5. Could you please share with us a sample project plan for an R12 Upgrade project (having minimal customizations)? As part of our Oracle Applications Workshops (in particular the Oracle R12 Strategy and Planning workshop held at Harvard) we share examples of project plans that include key milestones and best practice tips. 6. Is Oracle going to charge me more on existing support fees if I don’t upgrade? Oracle has extended support for 11i running through November 2011. After that you can continue with their 11i support but the costs do increase. For the first year the cost of extended support increases 10% and in the second year it goes up another 10%. 7. Are there recommended patch levels that customers should be on when doing an upgrade to Oracle R12 to help minimize the downtime? (other than what Oracle has published for their minimum patch level for 11i). I’d recommend applying the patches on 11.5.10.2 for the extended support as the basis for the upgrade. Minimum Baseline Patch Requirements for Extended Support on Oracle E-Business Suite 11.5.10. IT Convergence would like to invite to its next webcast, “New Features in Oracle R12 Financials.” Please register here! In addition to webcasts, IT convergence is proud to offer an upcoming Oracle R12 Stategy and Planning workshop at Harvard University. Oracle have finalized the session schedule for Oracle OpenWorld 2011. Gustavo Gonzalez’s session information below. It’s all set; Oracle OpenWorld 2011 sessions are finalized and the content catalog is open to the world. We’re especially proud of the “new blood” in this crowd – for example, MySQL honchos Ronald Bradford, Sheeri Cabral, Giuseppe Maxia, and Sarah Novotny are all in the mix. The complete list is shown below; of course you can find session descriptions and timing in the content catalog itself. Congratulations to all our Oracle ACE speakers!